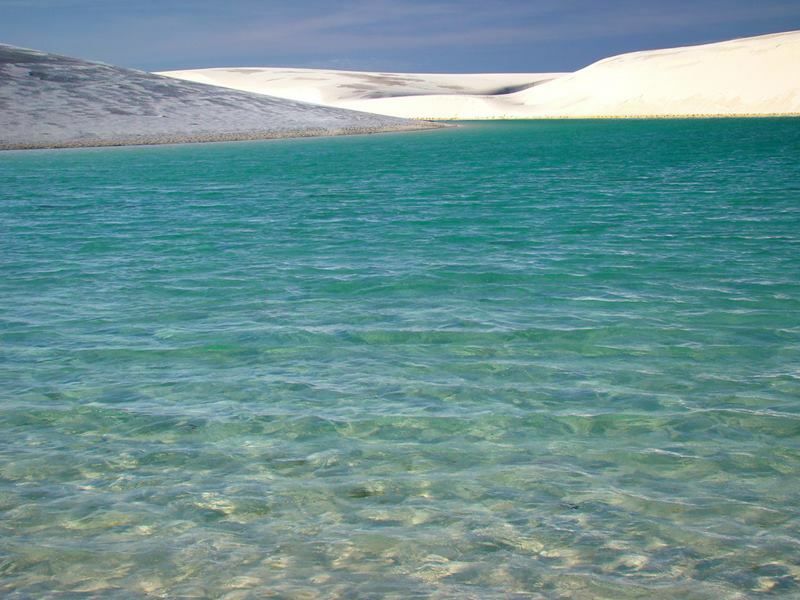 Jewels in the Brazilian crown, those infinite sand dunes scattered with crystal clear water lagoons, at some 6 miles from São Luís, are located in The Lençóis Maranhenses National Park, Maranhão state in northeastern Brazil. 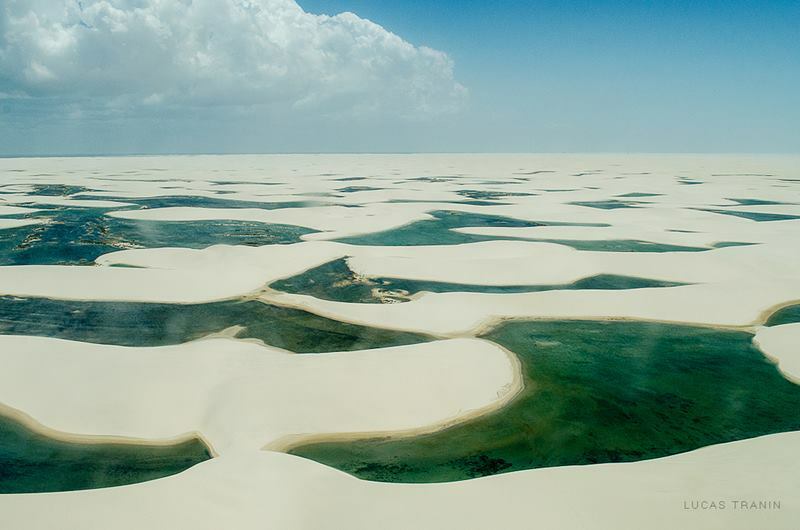 These sheets consist of a desert about 63 mile long and 32 mile wide, alongside the Atlantic to the North, and surrounded by tropical forests to the South. 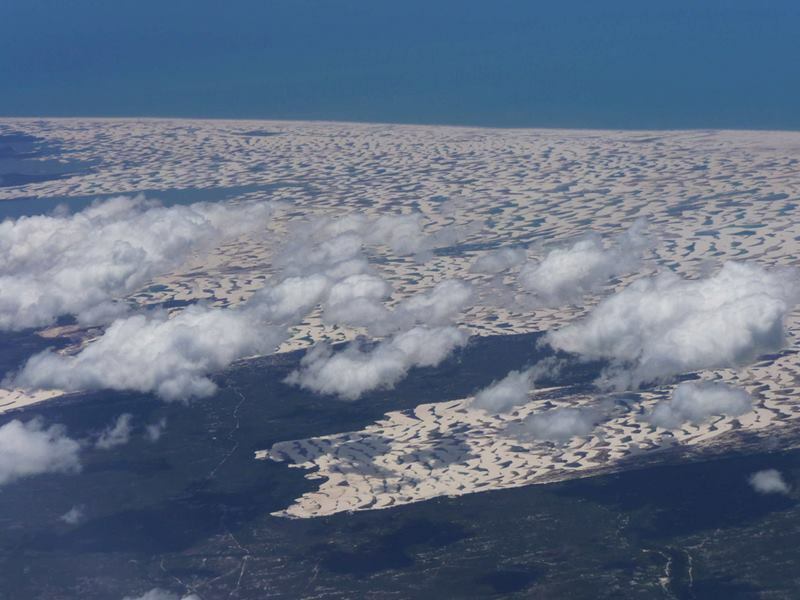 Seen from the sky, the scenery of a rare beauty, the dunes are molded by the wind and the trapped tropical rains have created immense pools of fresh, green and blue waters. 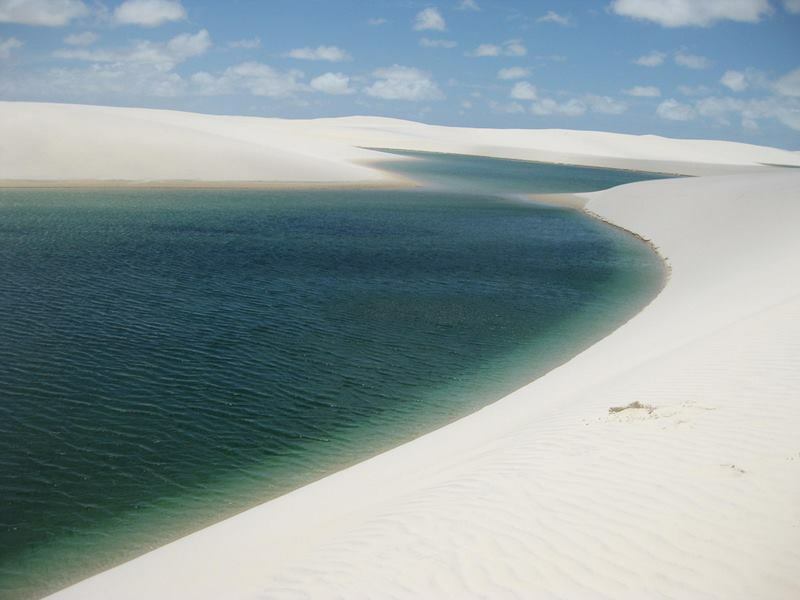 It is an area of low, flat, occasionally flooded land, overlaid with large, discrete sand dunes. It encompasses roughly 1,500 km2, and despite abundant rain, supports almost no vegetation. The area became a National Park on June 2, 1981. 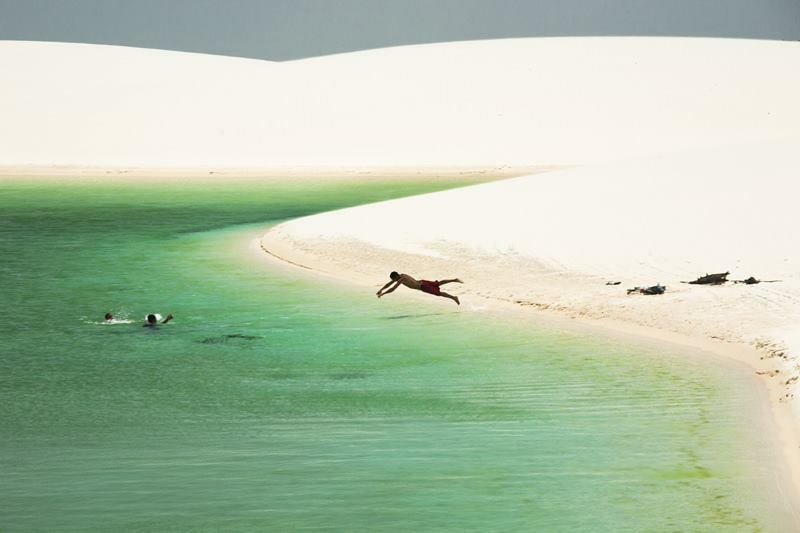 Composed of large, white, sweeping dunes, at first glance Lençóis Maranhenses looks like an archetypal desert, but in fact it is not an actual desert. Lying just outside the Amazon Basin, the region is subject to a regular rain season during the beginning of the year. 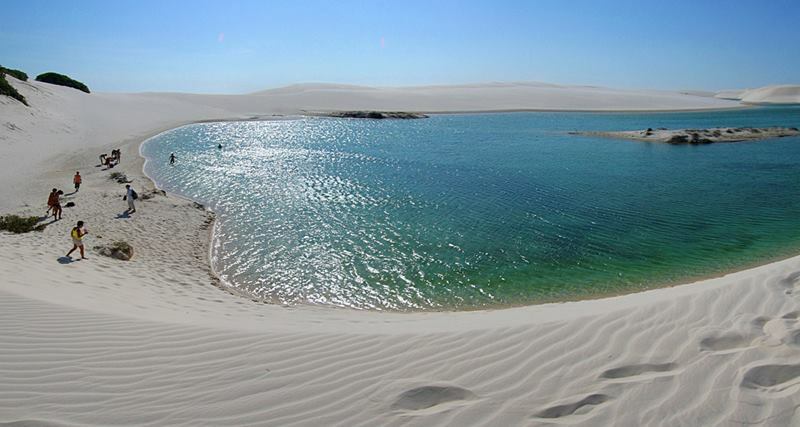 This desert is the amount of rain the drops over the dunes, creating ponds of crystal clear water on the depression between dunes. 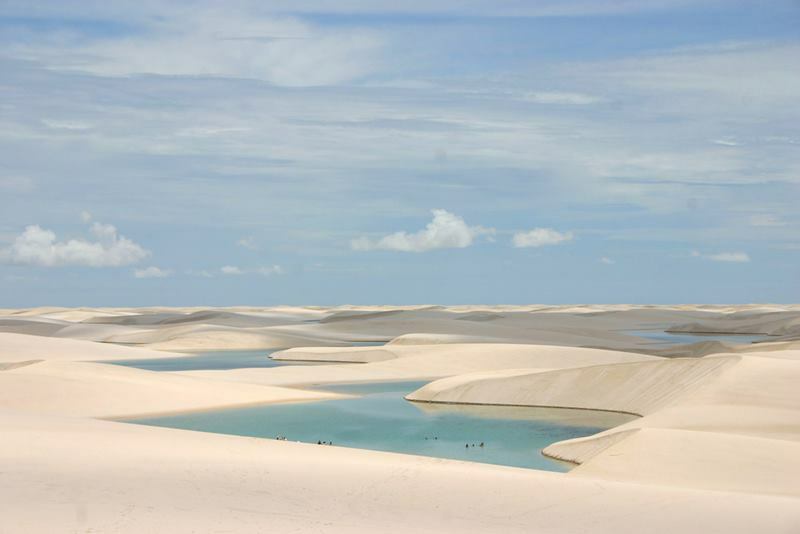 Despite its desert-like appearance, Lençóis Maranhenses records an annual rainfall of 62.9 inches, 300 times more than in the Saara. The rains cause a peculiar phenomenon: fresh water collects in the valleys between sand dunes and is prevented from percolating down by a laeyer of impermeable rock which lies underneath the sand. 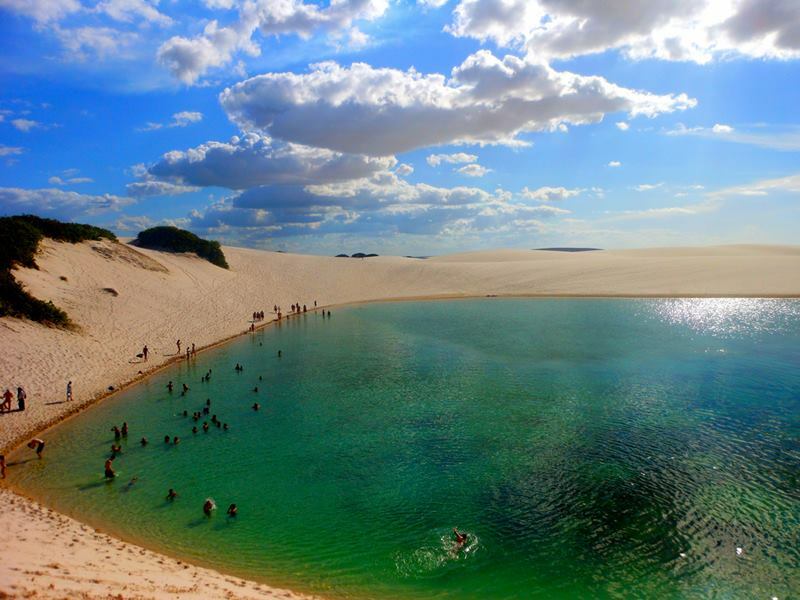 The resulting blue, green and black "lagoons" are surrounded by the desert-like sand, and reach their fullest between July and September. During the period of drought, the lagoons evaporates and become completely dried. 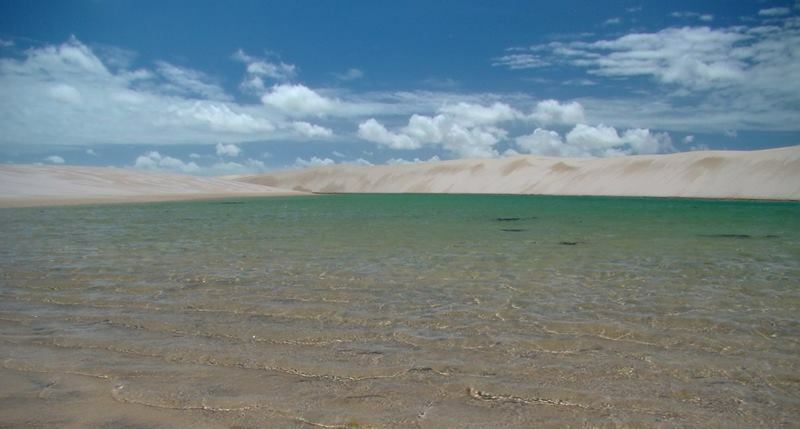 After the rainy season, the lagoons are home of many species of fishes, turtles and clams. The mystery in this story lies in the fact that when the lagoons fill up, life comes back, as if they had never left the place. One of the hypotheses to explain the phenomenon is that the eggs of the fish and crabs are maintained alive in the sand, exploding when rain come back.